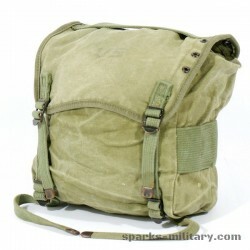 Pack, Field, Cargo and Pack, Field, Combat M-1944 were soon replaced by the very similar M-1945 version. 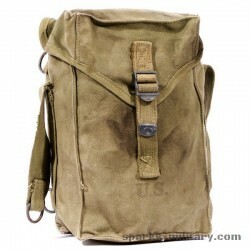 But the combat and cargo packs of the two are not interchangeable. 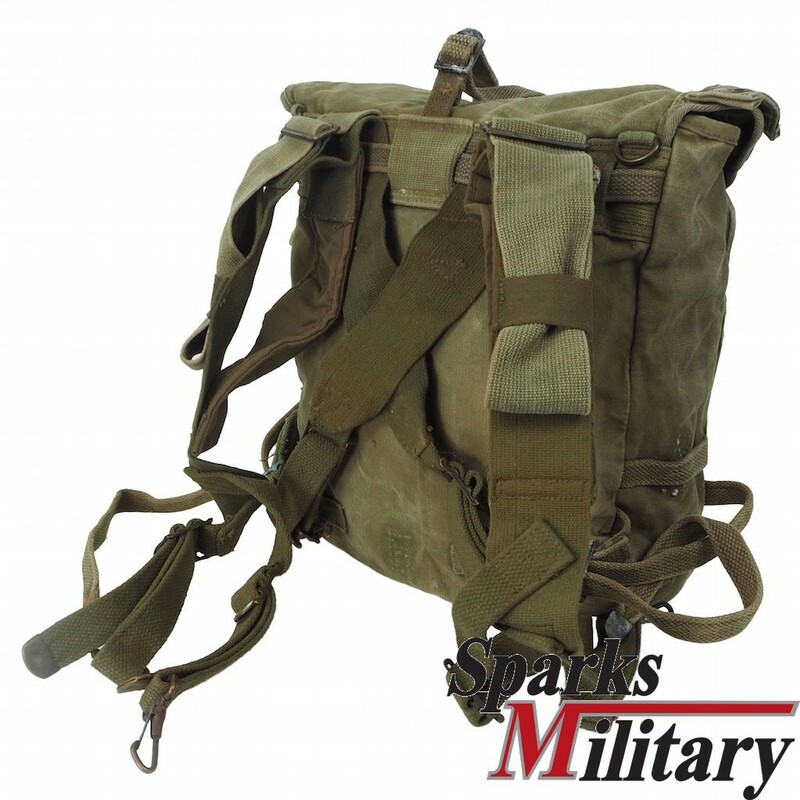 The quick release buckles of the M-1944 packs will not work with the double-bar buckles used with the M-1945 version. 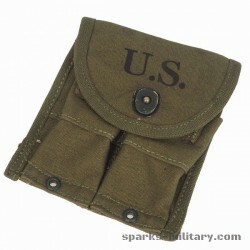 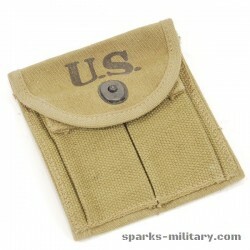 M-1945 Combat Suspenders were issued to match the packs. 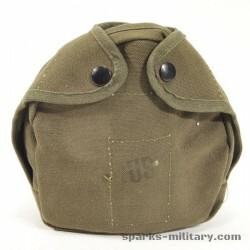 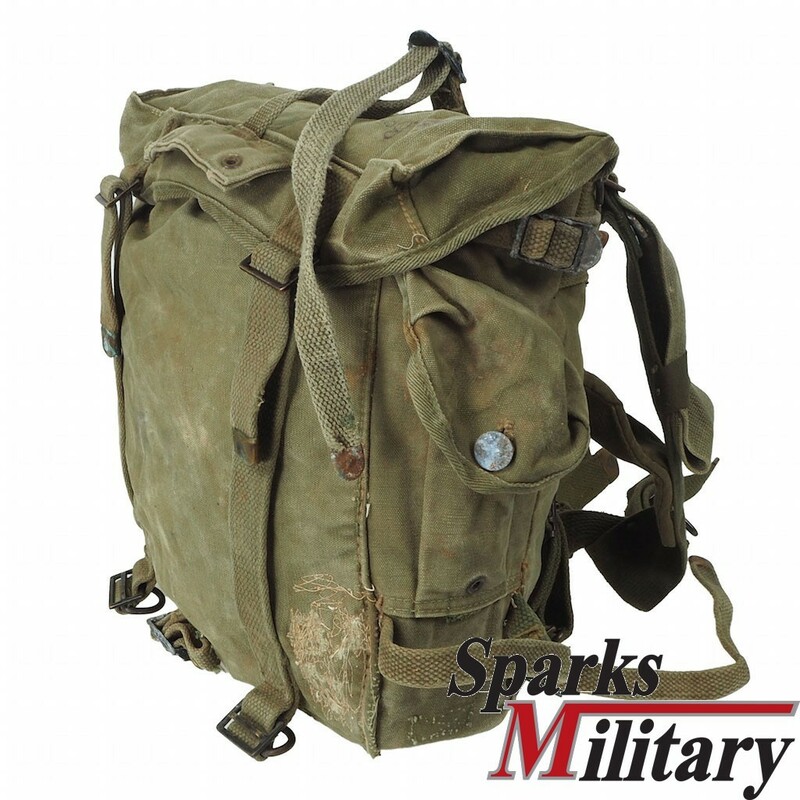 These packs were only used by a few units in the last days of World War II (perhaps after February 1945) but continued to be made and remained in service through the Korean War. 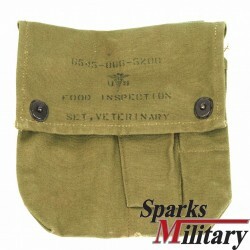 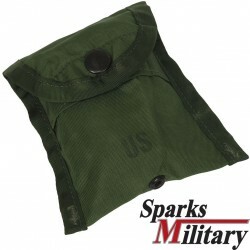 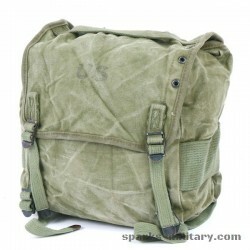 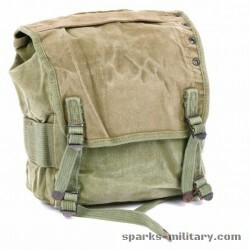 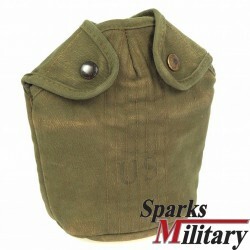 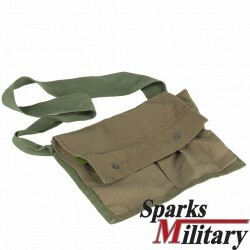 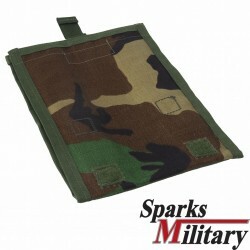 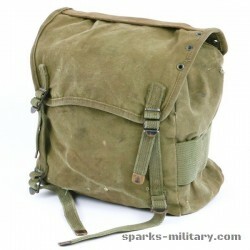 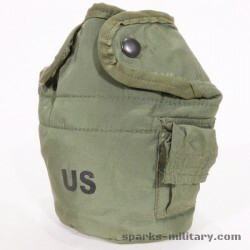 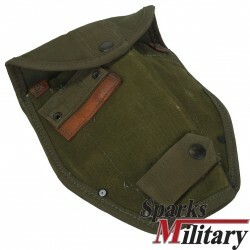 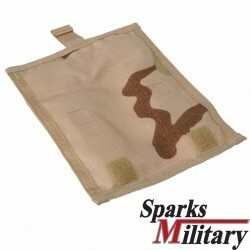 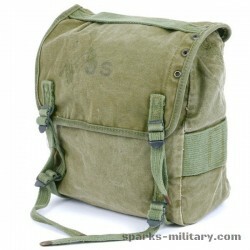 The Field Pack had a waterproof liner, interior divisions, and numerous straps to close the main flap, to use as shoulder straps or attach to the suspenders, and to hold the intrenching tool handle. 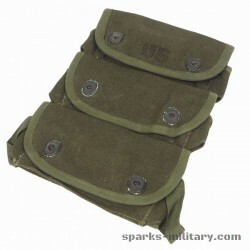 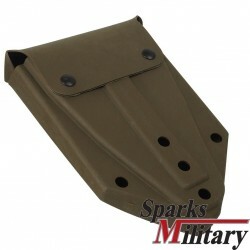 Two canvas flaps with eyelets were provided: M-1943 intrenching toolon top center, and a side flap for bayonet or canteen. 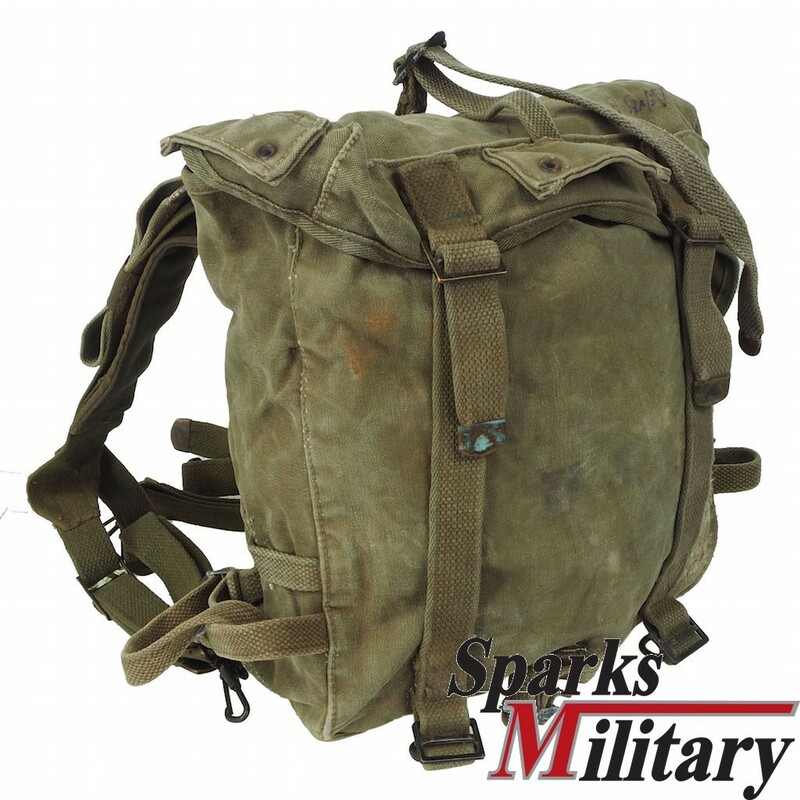 Bottom straps attached to the Cargo Pack to join the two. 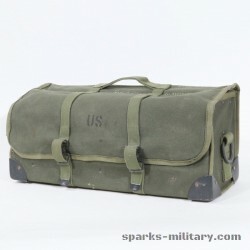 You can see the pack on the soldier in the photo to the right, taken in Korea in 1953. 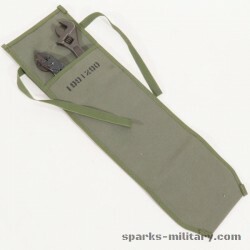 The intrenching tool M-1943 is attached to the pack; no cargo pack is in use. 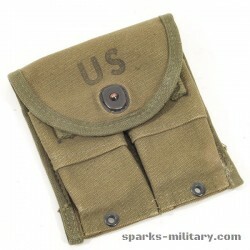 He is wearing a pistol belt, not a cartridge belt, and his canteen flap is open. 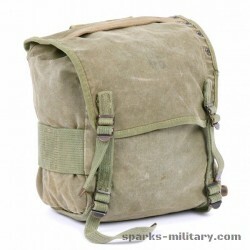 The Cargo Pack had a waterproof closure inside, two straps to close the main flap and short buckle straps on top to mate to the straps on the bottom of the Field Pack. 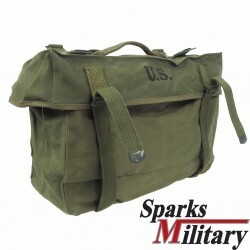 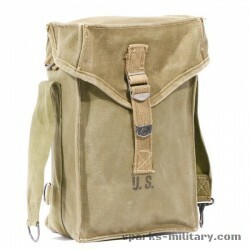 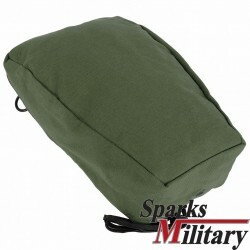 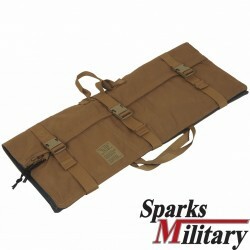 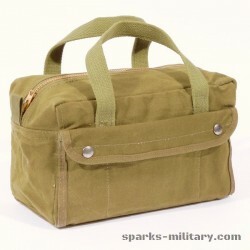 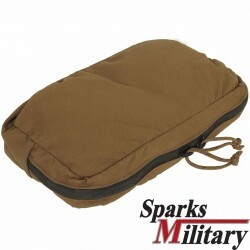 The Cargo Pack also had a web handle on top making it a handy furlough bag or even a tool bag. 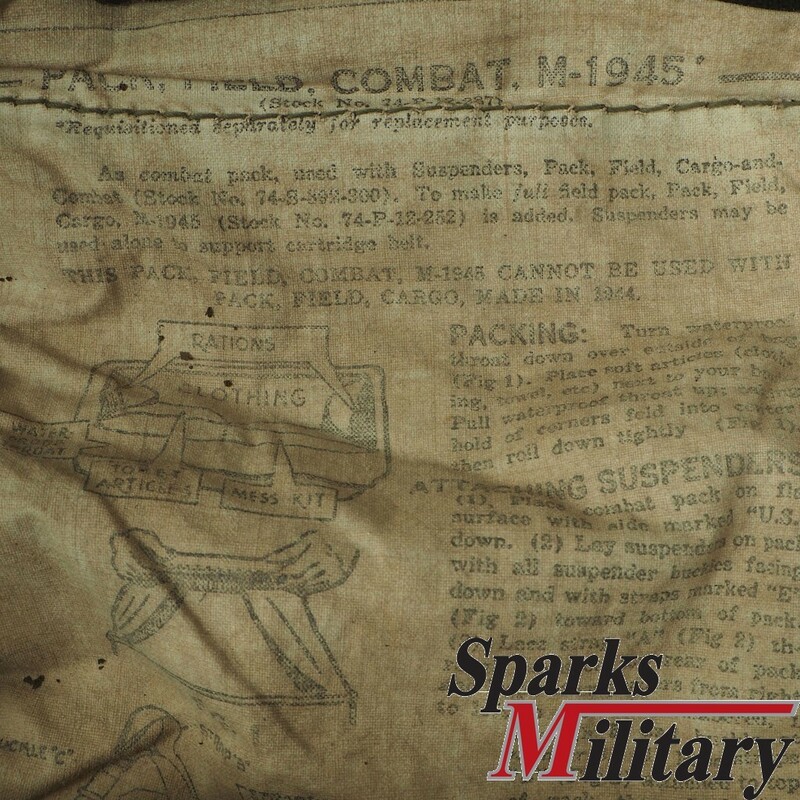 Both parts of the packs were made in OD #7 canvas and webbing with "US" stamped on the outside of the flap and the manufacturer and date on the inside of the flap. 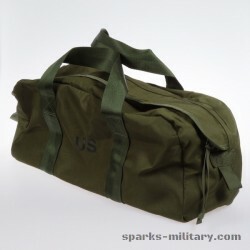 A large instruction sheet was printed on a white label inside the bag with drawings and detailed descriptions of how to pack and use the components.